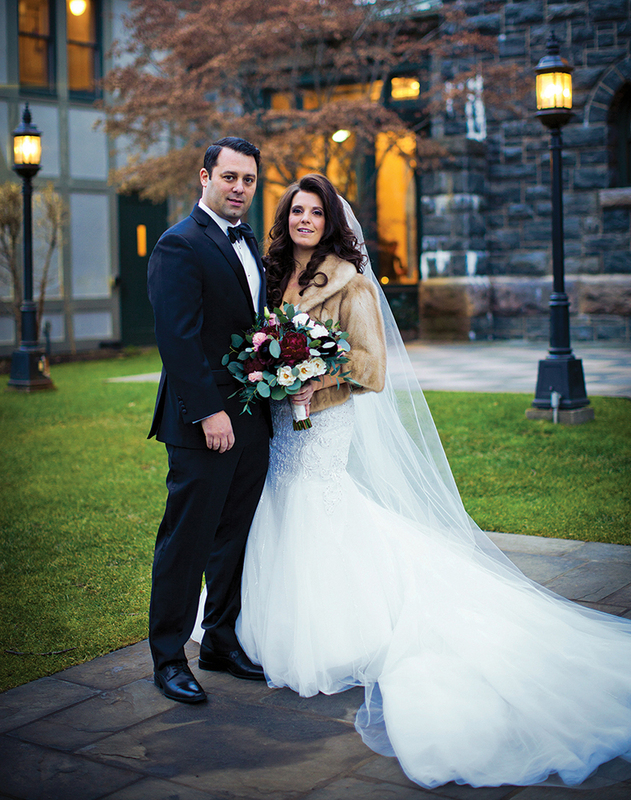 “We met through an incredible stroke of serendipity,” says bride Amanda DePalma, who married Jeffrey Martin in a winter wedding at Castle Hotel & Spa. 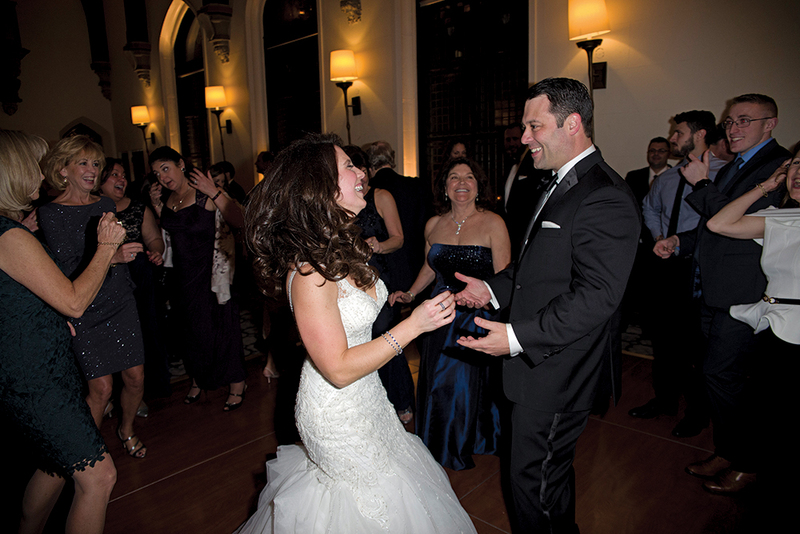 “He walked into my office on a chilly winter day and eight months later we began this amazing adventure. “Fast forward almost seven years to a July evening on a beautiful beach at sunset, Jeff on one knee with ring in hand, asking me to marry him! I was completely elated and exuberantly said yes! 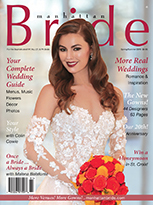 “Every wedding is unique,” says Cesar Calderon, senior sales manager at Castle Hotel & Spa, “whether it’s your color palette, menu, décor, or any aspect of your wedding. 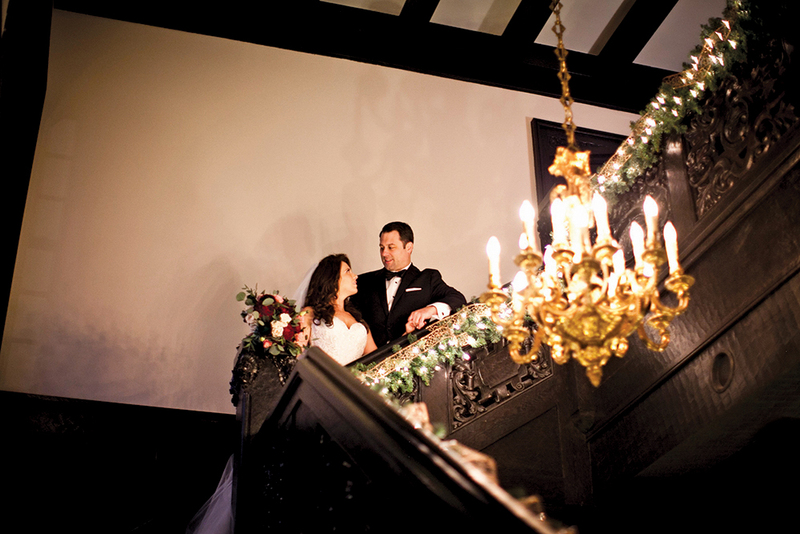 Amanda and Jeff knew the Castle was the right venue for them, since they wanted Old World charm and unique architecture. For the next three hours, they had a variety of action chef stations — pasta stations, carving stations, and more. “We ended the evening with a beautiful Viennese dessert display and a hot chocolate bar with Godiva chocolate liqueur and other liqueurs guests could choose. 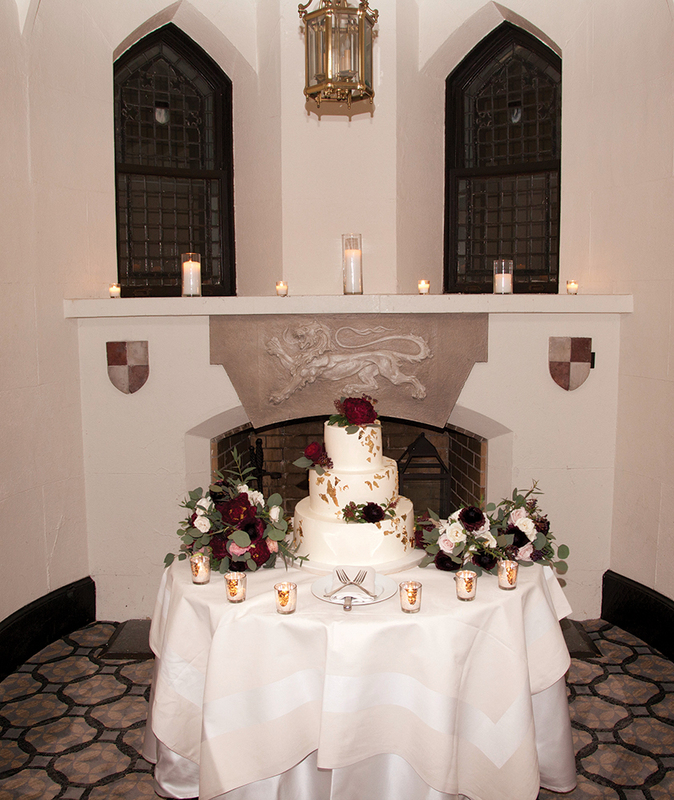 “A very important part of planning a wedding is the tasting,” says Cesar. “It is a perfect time to talk about the food stations, any allergies we must be aware of, and how they would like the service to be. 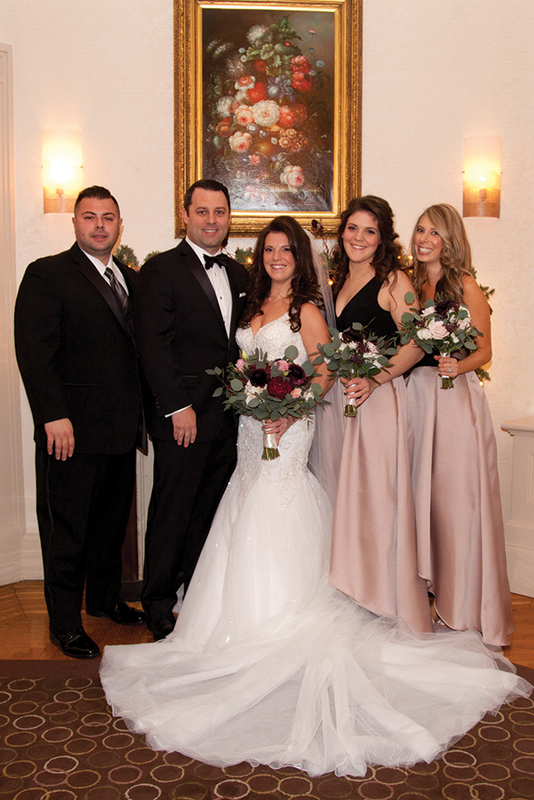 The bride and groom get to meet the executive chef, the pastry chef, the banquet manager, and to see that we are all there to provide for their needs. 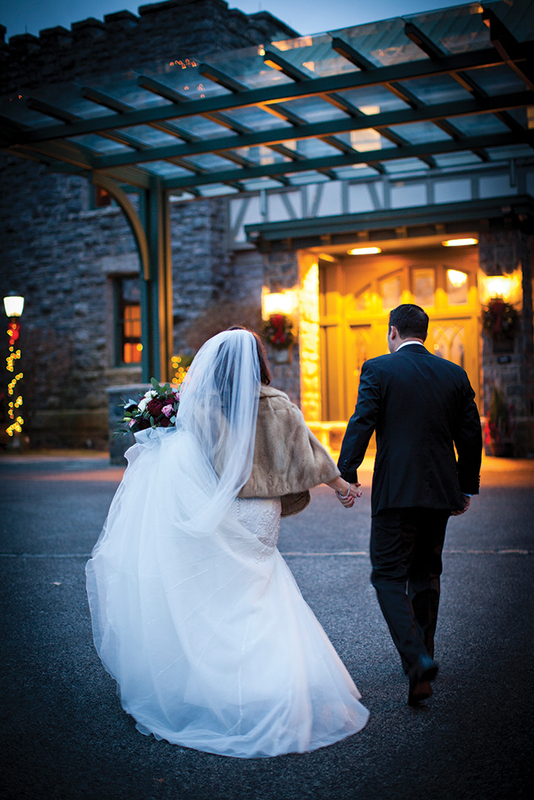 Vendors: Ceremony/Reception-Castle Hotel & Spa. Gown-Martina Liana. Bridesmaids-Bloomingdale’s. Tux-Calvin Klein. Photographer-Michael Polito Photography. Makeup-JKFlashy. Hair-Blue Remedy. Florist-Forever in Bloom. Cake-Lulu Cake Boutique. DJ-Hal Prince Entertainment. 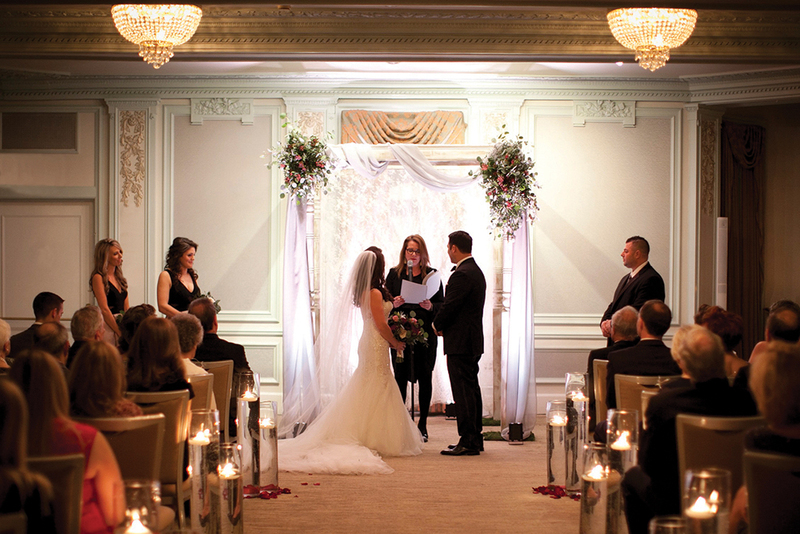 Officiant-Bettina Yiannakourou. 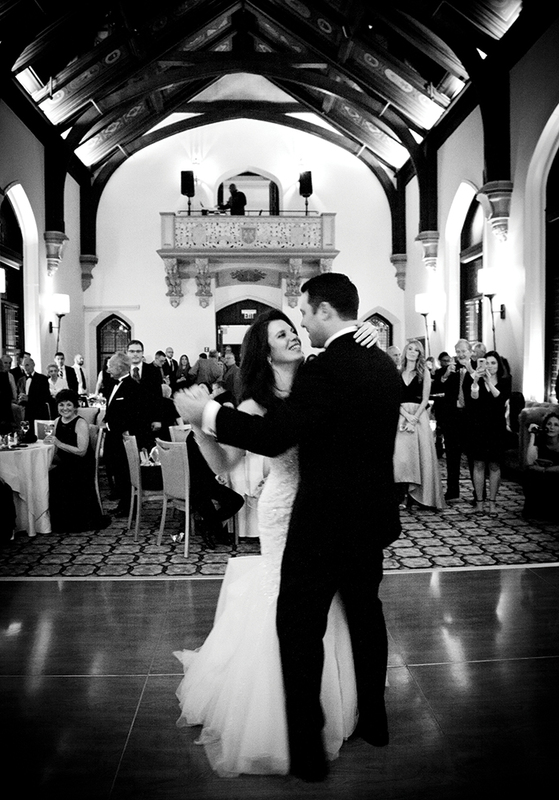 Amanda is director of special events for a non-profit business membership organization. Jeffrey is a vice president of operations for a private security/executive protection firm.